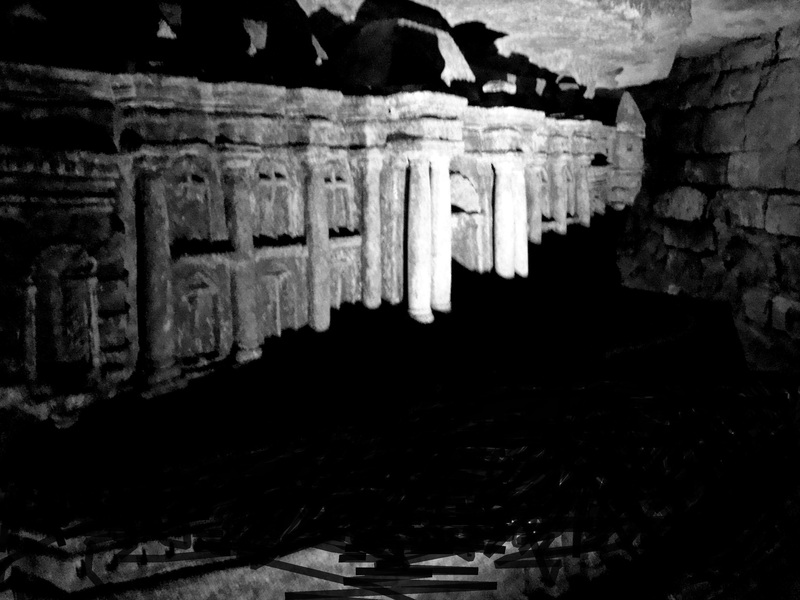 It is an ancient and forgotten temple hidden at the bottom of canyon only accessible by boat. Here wait’s death for curious travelers, but also an ancient relic and several factions struggling to claim the ruin as theirs. Meanwhile the kobolds just wait for Death to carry them away, and careless explorers may find, that they too will be carried off. This is the fourth Hinterlandet adventure to be translated into English, and where the previous three were converted to D&D 5th edition (Palace of Sweet Dreams, One Night Amongst the Necromancers, Tower of the Star Watcher), this one was kept system agnostic or perhaps more precisely D&D agnostic. It is a sandbox dungeon, that invites the players to explore the caves from several different angles, and encourages roleplaying and problem solving over outright fights, and combat will mainly be at the instigation of the players. The adventure is a part of The Dragon Awakens storyline – The Hinterlandet Living Campaign – where adventurers are seeking out the Grave of the Dragon Slayer in order to find a mighty sword to battle The Dragon with (this was a consequence of the “Seven Swords of the Dwarves” storyline, where other adventurers accidentally woke the Dragon). This means that a recurring foe, The Cult of the Dragon, appears in the adventure and intrudes in the dungeon, while the PCs are exploring the place (when adapting the adventure for your campaign, you can either use the cult or replace it with a recurring foe of your own campaign). A part of the fun with the adventure was seeing the players deal with the different factions of the temple, and many found the kobolds to be the saddest humanoids ever encountered, and their beliefs strange and unsettling. The factions, the many paths through the adventure and the open structure is all part of the design principles of a Hinterlandet dungeon. Recently The Flooded Temple received a positive review, which I wrote about here. You can find The Flooded Temple at Drivethru here: The Flooded Temple.